So excited to meet you San Francisco! 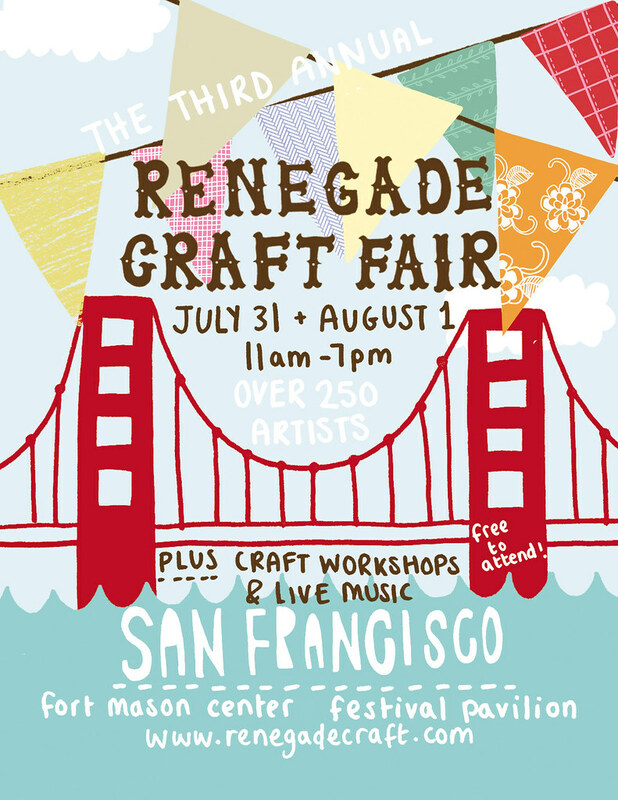 Please totally introduce yourselves to us at the strawberryluna booth at Renegade Craft Fair this weekend at Fort Mason Center Festival Pavilion! We’ll have tons of fun new prints and posters and good time talking skills sharpened just for you. Come say hi! It’s totally FREE. All of the important details are below, looking forward to a fun time. You can expect to find all sorts of incredible handmade goods at the Fair! Get asneak-peek of who will be setting up shop at this year’s San Francisco summertime event on our Artist Page! Come say hi! I’m booth #26! Click to rotate and see a larger map. This entry was posted in Craft Shows, News & Events, Poster & Craft Shows by strawberryluna. Bookmark the permalink.